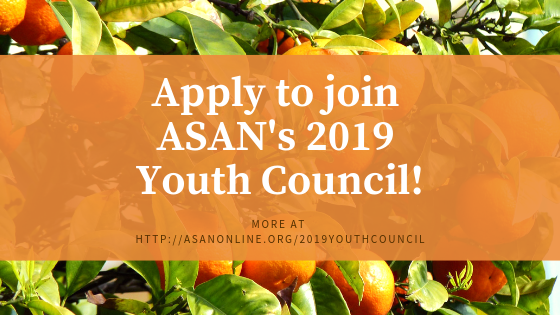 Join ASAN for a Potluck in Your Community! Home/Eaters and Buyers, Events, Farmers and Gardeners/Join ASAN for a Potluck in Your Community! Are you a farmer, gardener, or lover of sustainably and locally grown food? You are invited to join the Alabama Sustainable Agriculture Network for one of our community potlucks, being held throughout the state in the month of April! Get to know other folks in your community who are growing, eating, and supporting sustainable food! 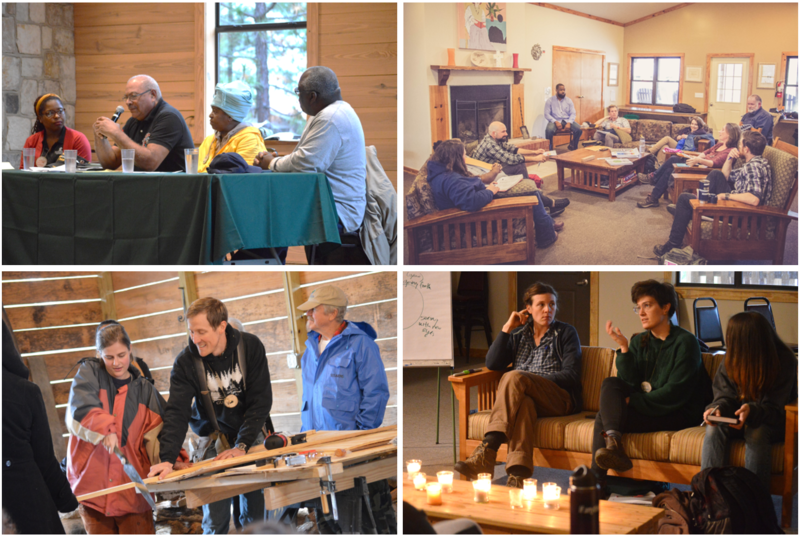 Plus, learn more about ASAN’s work around the state and how you can get involved! All are welcome! 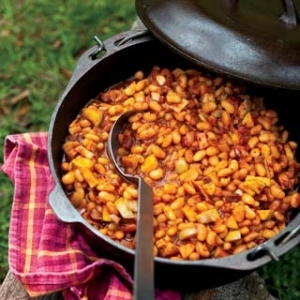 1) Bring a dish to share, along with serving utensils. If and where possible, try to bring something homemade from homegrown or locally grown ingredients! We will have blank labels to fill out to mark your dish. 2) If possible bring your own reusable plates, cups, silverware, to minimize our trash. 3) If you are part of an event or organization you think the group would be interested in, please feel free to bring information to share! Come early at 5:30 for a tour! Come early at 5:45 for a tour! 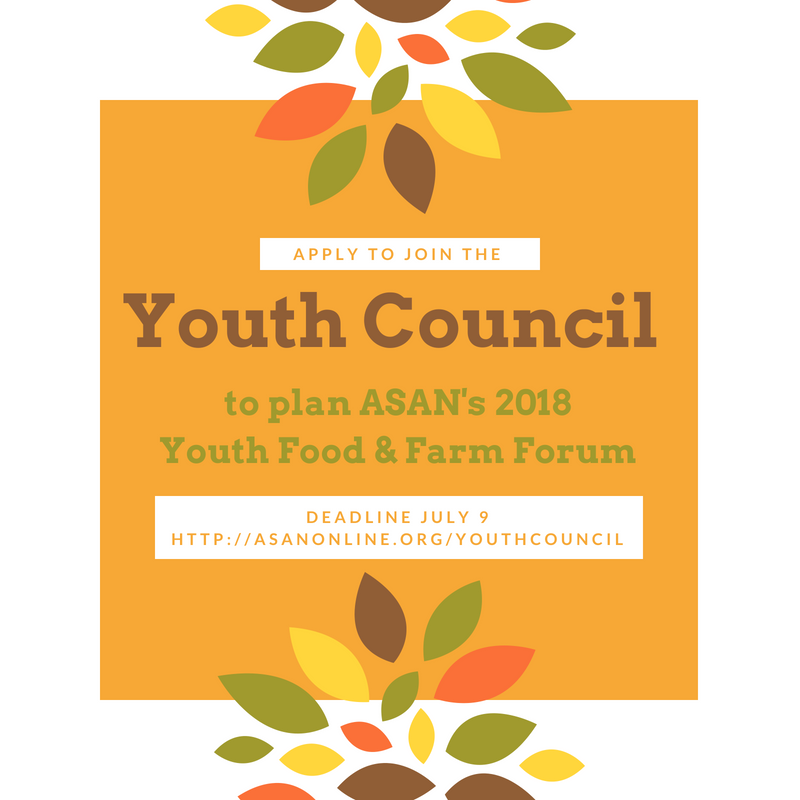 Apply to join the Youth Council to plan the 2018 Youth Food & Farm Forum!